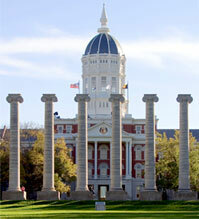 WHAT: ParentLink, an extension of the MU College of Education, will hold its biannual Tiger Family FunFest on April 26. The Family FunFest provides free activities for families and raises awareness of family issues in the community. Entertainment will include face painting, a bounce house, fire truck, book mobile and more. ParentLink provides information, resources and support for professionals serving families and Missouri families of all types, including parents with newborn babies, grandparents raising children, student parents, incarcerated parents and parents of children with special needs. Counselors are available by phone at 800-552-8522 or you may email your questions to the WarmLine at the following link: http://education.missouri.edu/orgs/parentlink/warmline_question.php. WHERE: ParentLink headquarters: 4800 Santana Circle, Columbia, Mo. NOTE: The MU ParentLink Spring Tiger Family Fest 2014 is free and open to the public. To learn more about ParentLink, visit: parentlink.missouri.edu or https://www.facebook.com/parentlink.